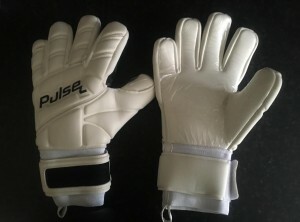 Today we are going to be talking about a brand new goalkeeping brand Pulse GK and their first ever glove release! We had seen a few pictures of the PulseGK glove floating around on social media and had already had a few conversations with brand owner Shaun Green about a whole host of goalkeeping topics in the past so when he got in touch to ask us to review his first glove release we were happy to take them for a spin! So over the last 8 weeks we have been testing their gloves out to see what this new brand can offer the independent goalkeeping market. At the time of writing the new PulseGK website has just launched and you can find full glove specs over on their website at Pulsegk.co.uk but the model we tested is as below. 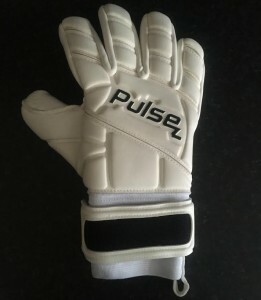 As mentioned at the top of this review this is the first glove release from PulseGK, so as a new brand to the market you can do a couple of things depending on the financial backing available to the start up. If you have a stack of money to invest, you can spend a lot of time testing and tweaking gloves so your first launch is something very unique and spectacular. Or, if you don’t have a lot to invest to get your brand off the ground you can start with a very ‘safe’ glove that will tick a lot of boxes from the off whilst performing well and use this to get a foothold in the market whilst you continue to develop and improve your gloves. Our initial impression of the PulseGK glove upon its arrival is that it fits very much into the second category and this is a good solid platform for them to build from going forward. The look is clean and simple without being completely plain – we like the little cut outs in the fingers to improve flexibility and breathability and we doubt you will find anyone that outright hates this design (unless they hate all white outs!). But then equally it probably won’t win any awards for stand out design either, so a relatively safe option! The gloves come in a standard Velcro wallet, in individual plastic bags to store the gloves between use and as with all contact latex the palms are covered with a plastic film to protect the latex whilst in storage and transition. Inside the glove, the negative cut is a snug negative cut compared to some gloves we have tried recently which is how a negative cut is designed to fit so should please true fans of the cut. One thing that we did notice though when first trying the gloves on was that the stitching at the end of the fingers is particularly evident. When in use we didn’t notice it but in terms of pure comfort we definitely feel this is an area that could be improved a little and has been done tidier in other negative cuts. Aside from the internal stitching above though, manufacturing wise we couldn’t fault it. There was no poor finishing on the edges, the palm covered where it should and there didn’t appear to be any mistakes or areas of weakness in the glove at all so a well manufactured glove! Contact latex should be able to be used without the need of a pre-wash, just peel off the film on the palm and go! But, in our experience no glove ever got worse after a pre-wash and the majority get better! So we put these through our usual two pre-washes prior to use! We’ve been testing the PulseGK gloves out over the last 8 weeks, but unfortunately we seem to have found 8 weeks of pretty beautiful weather. So the majority of the time we have been using them in very dry conditions, except on two occasions where we tested them out in absolute pouring rain and soaking ground. As well as a couple of different weather conditions we’ve been lucky enough to test them on grass and on 3G with a variety of footballs including Nike, Mitre and Precision. As with most of our glove reviews, the first few sessions these were worn purely for coaching as this allows us to break them in and get a feel for them. It also gives us an opportunity to really think about how they are performing with general ball handling rather than focusing on making saves. After a couple of sessions of coaching we’ve also been using these gloves in training to really test them out in a range of different scenarios and to test out their durability when used as they are designed to be – flying through the air! So, what did our testing uncover? Well – first off, for their first glove they seem to have done pretty well! Contact latex is designed to be used in the dry and in the dry they perform very well and at no point was I left blaming the gloves for any dropped balls nor did I have to worry about shots slipping out of my hands due to the gloves. After approximately 18 uses they still make the sticky noise that goalkeepers seem to love when they make a fist, but more importantly they still grip well to a football and I would have no concerns about using them in a match situation. As with a lot of contact latex gloves their performance in the wet isn’t as good as in the dry, but still performs reasonably well and could be used all year round, although we would probably prefer an aqua latex for the wet weather! So with the grip covered – Dry weather Very Good, wet weather – reasonably good for a contact latex, we move on to durability! We’re generally very good at keeping gloves in good shape but we have tested gloves before that have fell apart after a few wears and others that have lasted 8-10 wears then fell off which is why we always try to test a pair of gloves for 6 weeks with around 3-4 uses per week. Unfortunately we can’t test them for a whole season due to wanting to try more than one glove out each year but after 8 weeks of use, the PulseGK gloves are still alive and kicking. There is some signs of wear on the glove but most of this is not wear to the contact latex and rather to the backhand although there is some wear on the fingertips and thumb as seems to be par for the course with a negative cut glove but none that appears to have any impact on grip. So latex durability seems to be pretty good and the popular v notch in the thumb should stop any tearing in that area too! I’ve been debating long and hard about how I feel about these gloves overall as before I talk about value for money I always like to rate a glove based on its primary purpose. Ultimately they are a solid and steady first attempt into the market and I think they will go on to bigger and better things as they develop their range – they have already been making tweaks to this model whilst we were reviewing them adding removable finger protection among other things.  Currently, they are a good quality dry weather glove that are worth a try if you want to try something new and support a new brand along their development path. These gloves retail at £25 a pair which for a contact latex puts them at the cheaper end of the market, they hold up reasonably well in terms of durability and the latex performs pretty well. At this price I feel they are good value for money and think they will go on to further improve this glove. I would however probably recommend you have another pair of gloves for very wet weather to compliment their grip in the dry. Durable first entry into the glove market from PulseGK with their P1 glove which performs well and creates a platform for things to come.